This week we learned that this summer was the hottest on record and that summer sea ice in the Arctic was at least the fourth lowest level on record. While these announcements are further proof of how our climate change is changing our planet, we'd like to go a bit further to show how these temperature and ice variances are impacting species, people and ecosystems. 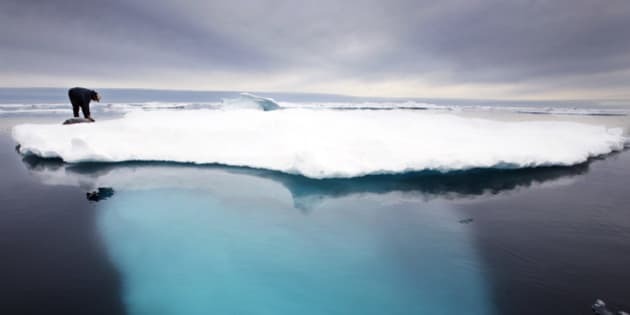 Climate-change driven patterns are leading to major changes in the Arctic Ocean. In August, Pacific walruses hauled out in the thousands on Russian and Alaskan coasts. Closer to home, in the Canadian Arctic, there are increasing sightings of killer whales (also known as orcas) in the summer in now ice-free areas. Orcas are not typically seen in heavily iced waters, as they are not well-adapted to life under the ice. Unlike Arctic whales, orcas have big dorsal fins. Low sea ice coverage gives orcas wider access to the Arctic. WWF-Canada is studying what the increased presence of orca in the Arctic means for the entire ecosystem, but one thing is for sure: ecosystems and ranges of species are changing relatively fast as a result of higher temperatures. People and communities face many challenges associated with retreating sea ice -- but one of the most obvious impacts is dealing with hungry polar bears that are forced to scavenge for food around communities while waiting for solid sea ice (where they traditionally hunt) to form in the fall. September regularly sees an increase in human-bear conflicts, and communities have had to introduce many techniques to keep people safe and drive the bears away. These are just two immediate impacts of climate change. But the heat is being felt around the world. WWF's 2014 Living Planet Report showed that we had lost a staggering 52 per cent of the earth's wildlife in the past 40 years, and that climate change was the biggest driver of that loss. In the face of such devastating wildlife losses and ecosystem disruptions, it is nearly impossible to overstate the threat of climate change. Without action, our leaders are failing to protect the best interests of the Arctic, and the entire planet.